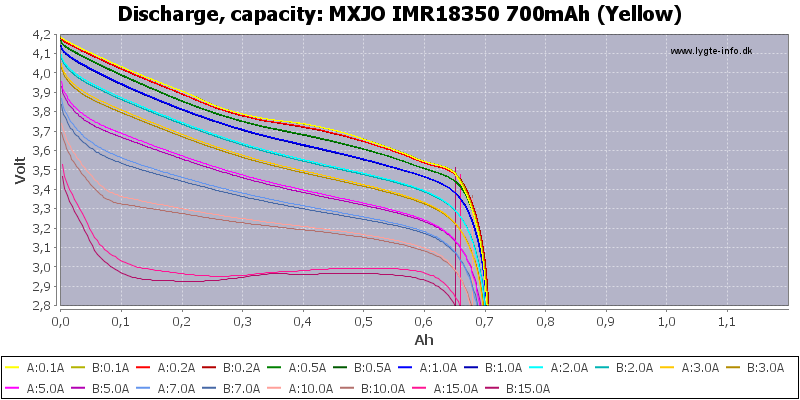 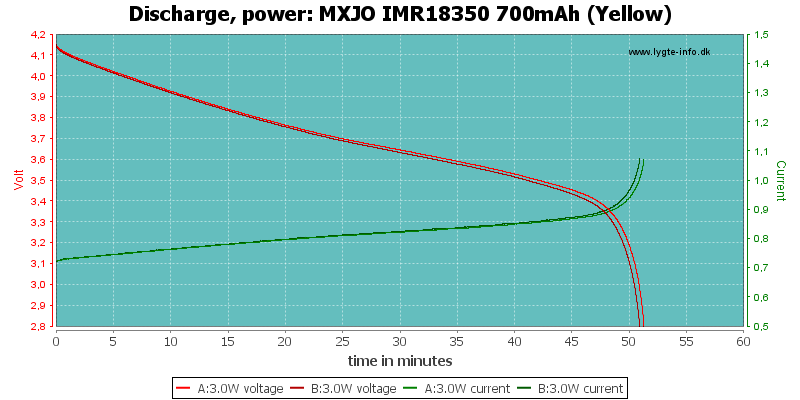 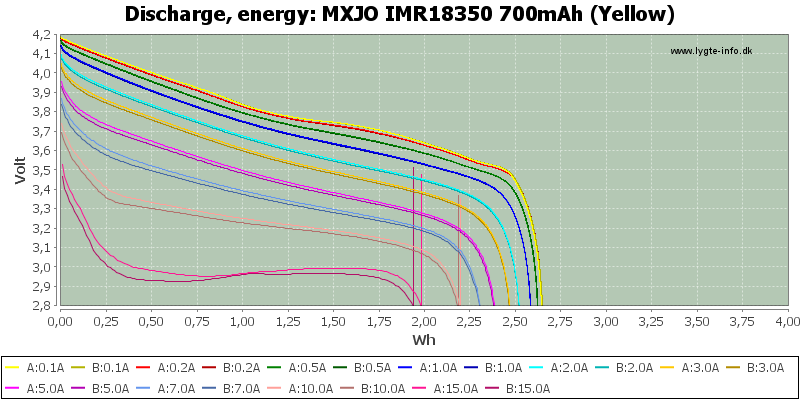 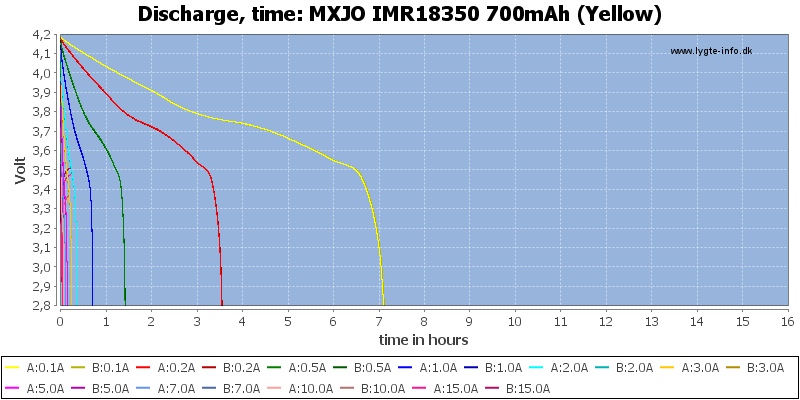 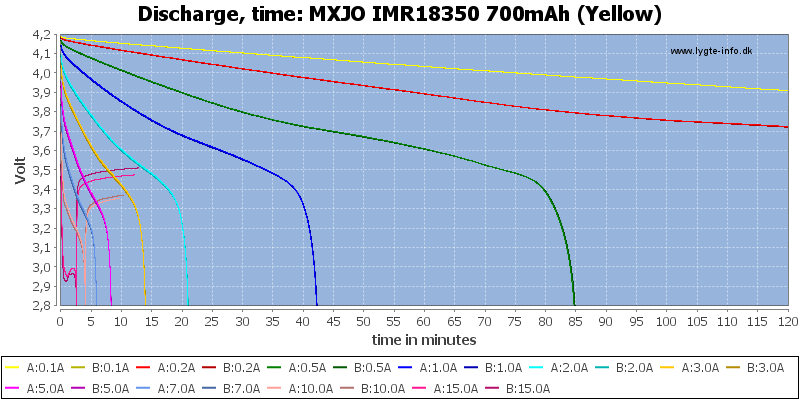 The discharge curves looks good with the cell tracking nicely and nearly constant capacity. 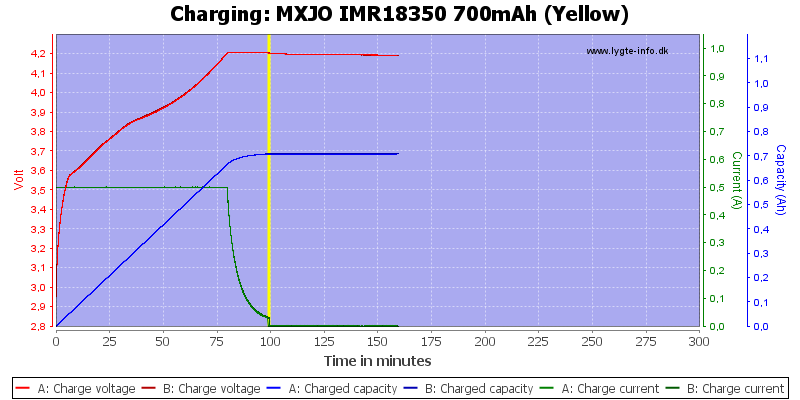 The 15A discharge was way above the capability of the cell. 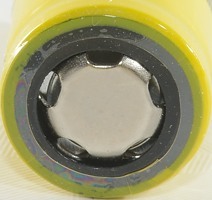 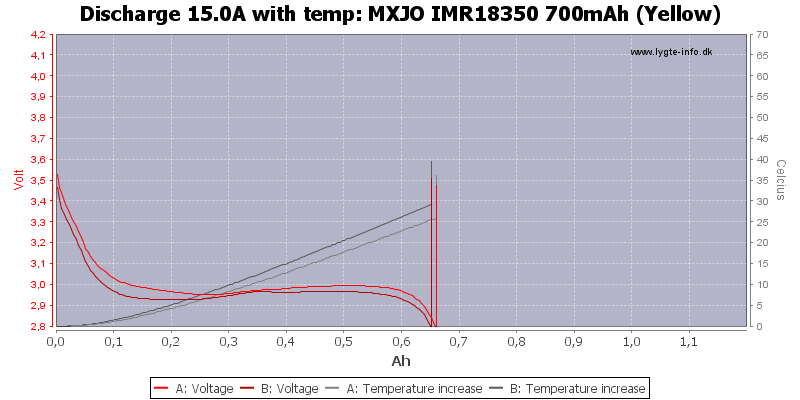 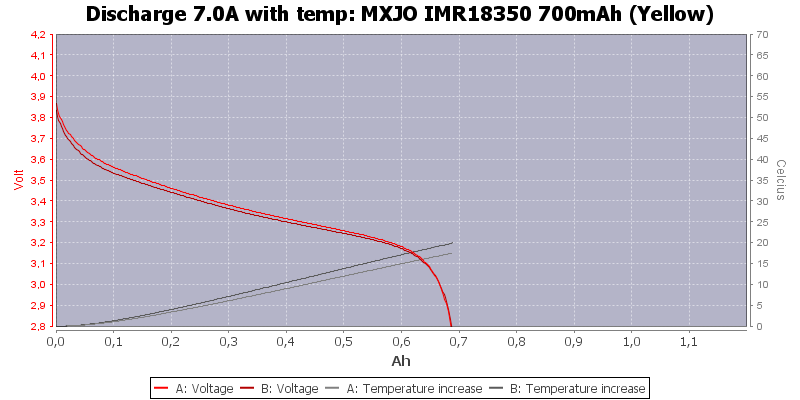 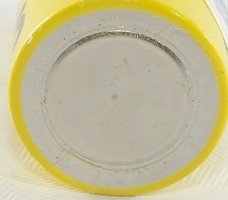 The cells do not get too hot for this discharge current because the time is very short (Between 2 and 3 minutes). 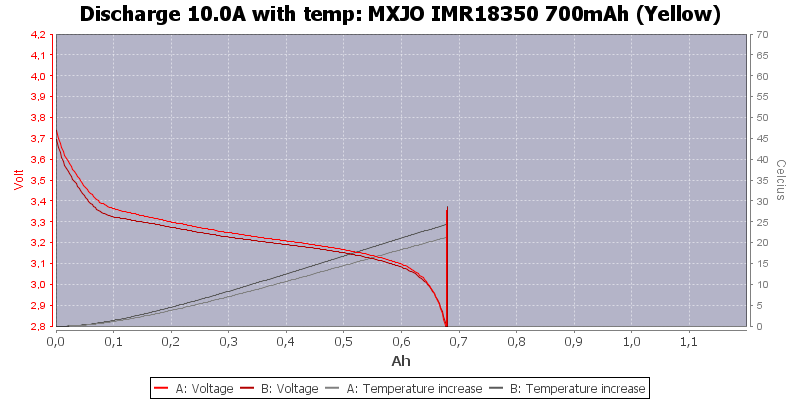 The peak temperature registered is 40°C above ambient, this means around 65 to 70°C on the outside. 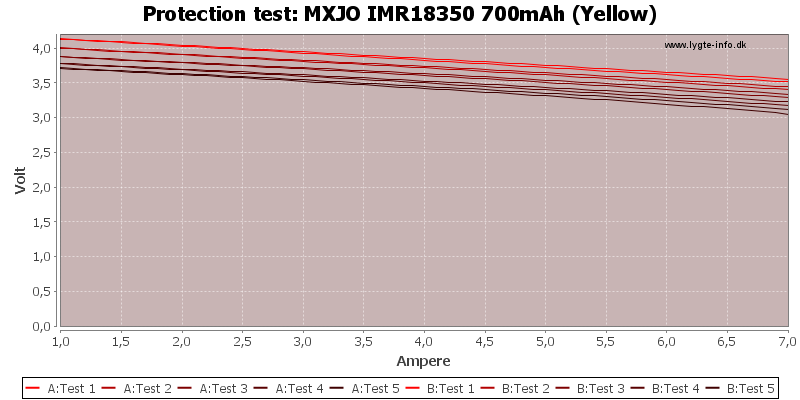 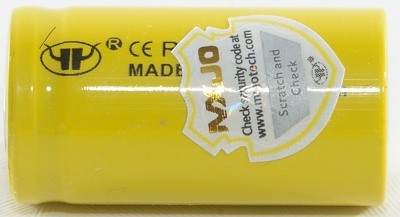 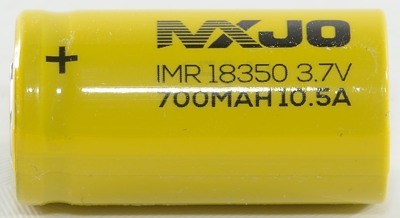 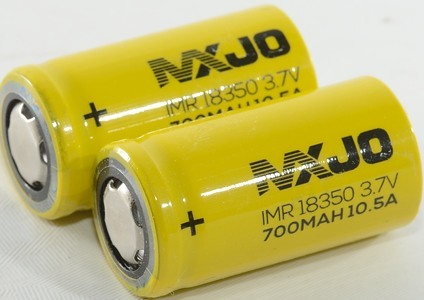 These cells has a good high current performance performance, but capacity is on the low side due to the high current ability.